Within the dream of who we are and who we want to be there is something else. It keeps us wanting more, sometimes it chases us away and then there are other times we live for the day it wants us more. 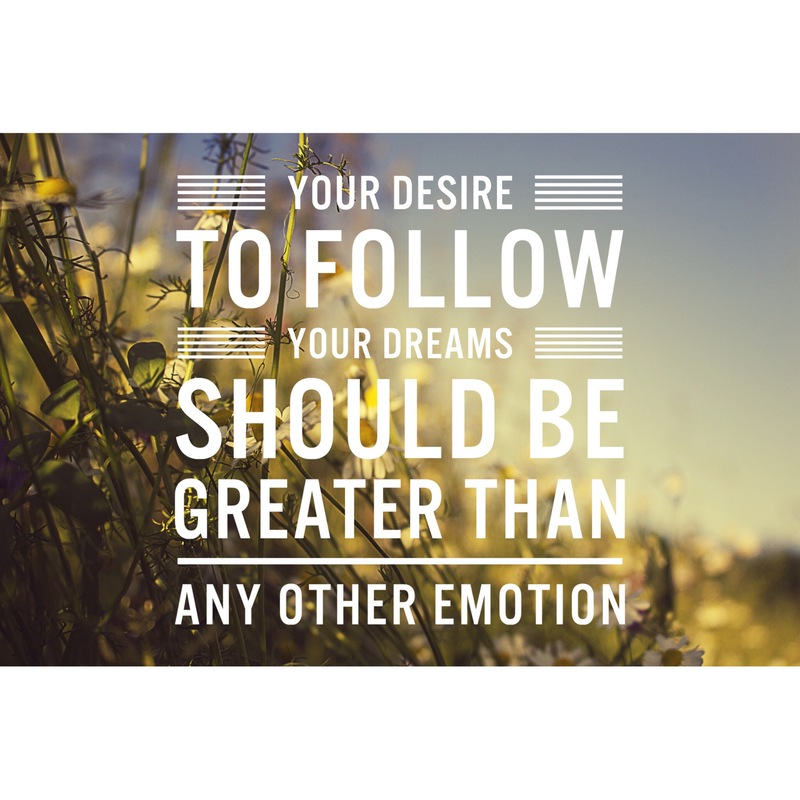 Desire is something we never think about, especially if we’re not chasing our dreams. Desire to want more, the desire to stay with those we’ve known for years and then there’s the times we want more out of life. The dream keeps us going, but the true desire to follow the dream and become the person we knew we could be, that is what life is for, isn’t it? What we do with our life, and whether we have the true desire to move away, follow our heart and become something else – that, that one thing, that is completely what life is about. I’ve seen people defeated and giving up on their dreams because their desire is lost. That feeling of, “I’ll never make it” or of “It’s hopeless, I have too many commitments”. Those things are why you should seek out desire. When you give up on your dreams, everyone around you sees it, they feel the loss. They may not say anything, but they were hoping for your dreams too. They wanted you to follow your dreams, because that means it’s possible and that just maybe, they can do it too. Your desire to succeed is fueled by dreams of a better life, of following your heart and of doing the one thing that keeps you awake at night. You desire to be better, and that’s enough. Previous Post Previous post:How Transcendental Meditation Gave Me Quietude and Courage. Next Post Why We Should Ignore The Rainclouds. Well-written blog on a topic that’s dear to my heart. Thank you.